The New York Mets will play a televised baseball game this afternoon for the first time since September 29th, 2013. As long as I’m in New Jersey and they’re in Florida, that’s the best birthday present that they can give me. It’s already been a busy week in Port St. Lucie. Jonathon Niese had an MRI on his left shoulder yesterday after experiencing pain, but he has been pronounced “fine” and can resume his throwing program to get ready for his second career Opening Day start. When was the last time the Mets got good news when they sent a player back to New York for an MRI? Sandy Alderson and David Wright are expressing the optimistic view that the Mets can win 90 games this season. Las Vegas oddsmakers are setting the bar a bit lower, with a line of 73.5 wins. (On the bright side, Vegas does like the Mets better than the Miami Marlins.) Splitting the difference, a .500 season seems plausible… at least on the last day of February. Noah Syndergaard caught some eyes during an intrasquad game yesterday, striking out five batters over two innings. Maybe he’ll be able to contribute to the Mets’ rotation before the year is out, though 2015 is probably a more realistic timetable. Wilmer Flores is drawing comparisons to Edgardo Alfonzo. Unfortunately, Alfonzo wasn’t really a shortstop in the major leagues either, playing only 34 games there during his 12-year career. But if Daniel Murphy ends up pricing himself out of the Mets’ long-term plans, maybe Flores has a future at second base. 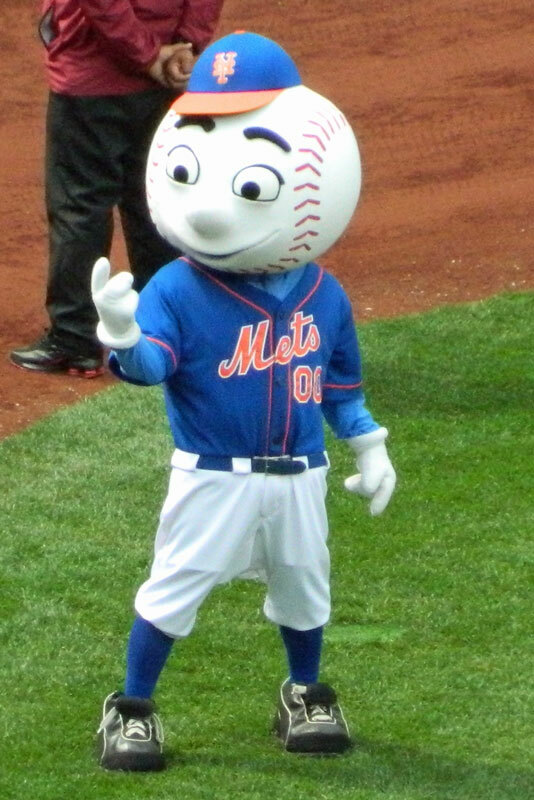 So here’s hoping for a Mets victory today, and some fun games throughout the rest of the spring and during the regular season. Baseball is back. Happy Birthday, Paul. And Let’s Go Mets! Thank you. It would have been nice to see a Mets’ victory on my birthday, but it was enough just to have baseball back. Let’s hope they have some baseball weather to play in when they get back to New York. A belated Happy Birthday to you.